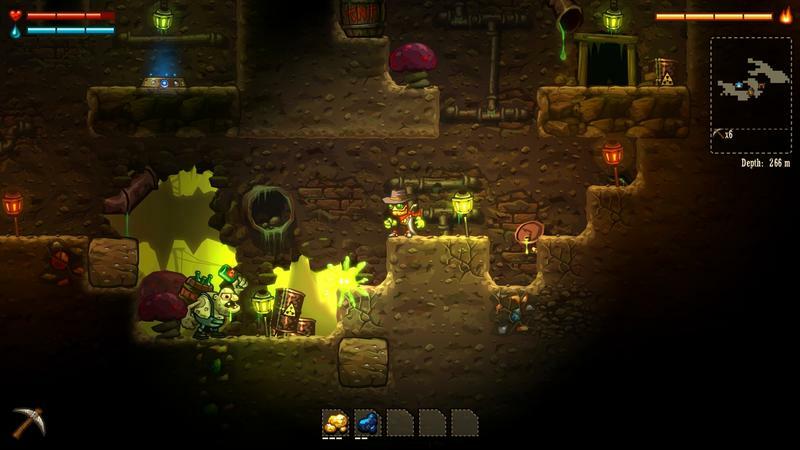 SteamWorld Dig launches on the Wii U this week, and as one of my favorite Nintendo 3DS indie games, I would love the chance to play it in HD on my Wii U. Luckily, those who purchased the game on the Nintendo 3DS will get 25 percent discount! Unluckily, this deal is available everywhere except in America. British Nintendo fans, Australian Nintendo fans, and New Zealand's Nintendo fans are experiencing the initial effects of Nintendo embracing the future of handheld/console connectivity, and I'm sure its glorious. After all, Nintendo kicked off this movement with the Game Boy Advance and the GameCube just ten years ago. Nintendo of America though, as always, is digging its heels and resisting change. Developer Image & Form explains. "NOA (Nintendo of America) does not have this mechanism in place yet, so a cross-buy like this isn't available to our American customers. We've tried hard, and it's taken some time to get to this place…half a victory at least!" The "mechanism" isn't in place? Is it like a gizmo or a doohickey? Does Nintendo need to insert tab A into slot B? Is there a switch in the office or a program they still have to write? Or does it just want us to continue paying full price? This is the second time that other English speaking branches of Nintendo have allowed this kind of cross-buy deal, the first being Squid's Odyssey, and the second time Nintendo of America has been excluded. All I know is that if I purchased SteamWorld Dig through my PlayStation Vita, I would already be able to enjoy it not for 25 percent off, but for free on my PlayStation 4. Nintendo of America, your rivals and even your counterparts in other countries have embraced cross-buy. Time for you to get off the pot and do the same, buddy.